The retail price of petrol RON95 decreased VND400 per litre from 3pm on Wednesday, according to an announcement by the ministries of industry and trade and finance. The cultivation sector aims to gross over 21 billion USD in export turnover in 2018, representing a year-on-year rise of 2.2-2.3 percent, according to the Ministry of Agriculture and Rural Development. Vietnam’s Ministry of Industry and Trade issued Decree No.08/2018/ND-CP (Decree 08) with immediate effect on 15 January 2018, amending several decrees related to business conditions in various areas including franchising, to reduce administrative procedures. Tra fish exports to the UK were worth US$45.7 million last year, an increase of 2.5 per cent over the previous year, according to the Vietnam Association of Seafood Exporters and Producers. VinaCapital’s flagship fund, Vietnam Opportunity Fund (VOF), invested approximately $45 million into two subsidiaries of PetroVietnam including PV Power and Binh Son Refining and Petrochemical (BSR) in their initial public offering (IPOs) conducted in January. Vietnam Dairy Products says that its overseas operations were hit by a halt in its exports to the Middle East due to geopolitical conflict there. The northern province of Bac Ninh attracted 3.5 billion USD in foreign direct investment (FDI) in 2017, ranking second among provinces and cities across the country. Fast moving consumer goods are expected to have another year of strong growth in 2018 and rise 6-7 per cent over the preceding year, according to a Kantar Worldpanel report on Viet Nam FMCG market. Construction on a US$24.6-million auto parts factory is under-way in the northern Thái Bình Province’s Ti?n H?i Industrial Zone with completion expected in July 2019. Many online shopping sites in Vietnam have recently begun hiring attractive women to advertise their products via live videos on social media. Vietnam’s ambition to build a circular economy – aimed at combating pollution and achieving more sustainable development by reusing and recycling defunct products – has attracted the participation of several foreign firms. Many businesses across the country have resumed production after the Lunar New Year (Tet) holiday. After hitting a decade-long high in 2017, the banking and energy sectors could drive the market to record levels. 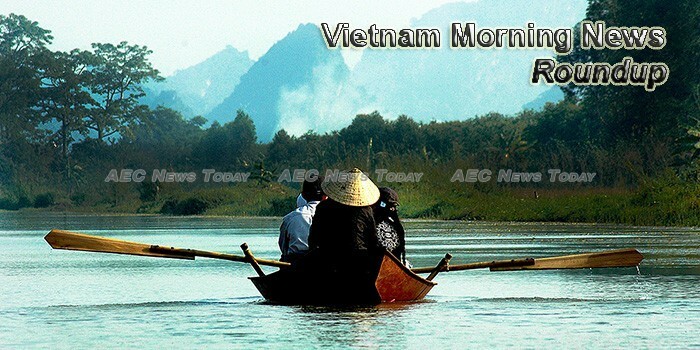 Farmers in central Thua Thien-Hue province have started breeding eels to prevent the fish species from becoming extinct.